The Dr. Dabber Aurora is an award-winning vaporizer that offers variable voltage and is also designed for use with essential oils. It is the only vape pen that is designed with fully magnetic connections in order to make the user experience seamless and simple. It is sleek and slender, giving it the look and feel of an electronic cigarette in order to make vaping with it in public more discreet. It is the next generation of pens from Dr. Dabber, and fans who already know the brand are going to love owning this model. The Dr. Dabber Aurora is a top quality portable wax vaporizer that is simple to use, slender, and easy to take with you on the go with its discreet design. - Price - At $99, the Dr. Dabber Aurora is a bit on the higher end of price points for a portable vaporizer but is not exorbitant. 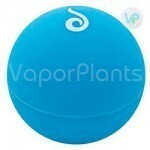 This is what you should expect to pay for a high quality portable wax vaporizer if you want it to work well. - Vapor Quality - The Dr. Dabber Aurora vaporizer comes with three different atomizer choices, dual ceramic rods, a ceramic disc, and dual quartz rods. All of these different atomizer choices allow you to enjoy the clean and smooth, unfiltered taste of the wax or oil that you are vaporizing. - Guarantee - The Dr. Dabber Aurora vaporizer comes with a no questions asked one-year warranty to give you peace of mind. - Prep Time - The Dr. Dabber Aurora vaporizer can take a little time to get prepared, but the pop off easily using the magnets. Loading it doesn't take much time, but it does take it longer than some other vapes. - Portability - The Dr. Dabber Aurora vaporizer is ultra discreet and looks like an electronic cigarette. This makes it ideal for those who want to take it into public and vape around other people without being obvious. It can easily fit into the pocket or in a bag for your convenience. - Ease of Use - The Dr. Dabber Aurora vaporizer comes with all magnetic components that make slipping the pieces together simple. It is easy to load and clean out for this reason. - Heating and Temperature Regulators - The Dr. Dabber Aurora vaporizer uses the high quality vaporization elements mentioned earlier that heat up in no time and provide a clean hit. You can change the temperature between the three heat levels, but it is hard to tell to the options apart due to the lack of an indicator; however, it does comes with a low temp setting that is recommended. - Power Supply - The battery life is a bit low, but it does not take too long to charge once it is depleted. You can charge it via a universal USB port, which makes it easy to keep charged up anywhere you go. Pull off the mouthpiece to expose the chamber below. Insert the wax using the tool that comes included with the vaporizer. Choose the temperature you want. Wait for it to reach the set temperature. Separate the mouthpiece and the atomizer from the battery using its easy pull apart magnets. Soak the pieces in isopropyl alcohol. 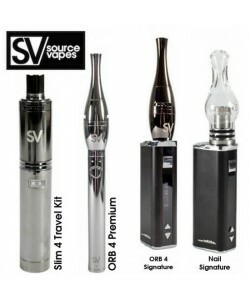 You will want to soak both the atomizer and the mouthpiece for around 20 minutes. Rinse off the two pieces in a cup of water. The Dr Dabber Aurora comes with three premium quality quartz lined atomizers, allowing this vaporizer pen to handle all types of concentrates. Choose the dual quartz rod atomizer for thinner oils, and the dual ceramic rod atomizer for thicker ones. Use the ceramic halo heater for waxy type concentrates. No matter what you're vaping, the Aurora will out perform other dab pens by providing low heat vaporization which maximizes flavor, promotes smooth vapor, and ensures optimal efficiency. Simply put, you'll get the most from your concentrates when you use this vape, and its performance can rival the quality of a larger portable vaporizers for wax. Many vaporizers for concentrates need you to screw components together, making it impossible for you to check on the levels of your wax, and to load your unit. The Dr Dabber Aurora eliminates all of the hassles with magnetic thread-less vape design. Strong magnets keep the vape pen parts together and make it easy to take apart for filling and cleaning. Just don't overfill the chamber as it will void your warranty. You can set the Aurora to any of the three preset temperatures by pressing the Dr. Dabber logo button rapidly three times. The lower your temperature, the more material you'll save: green - low heat (450 degrees) is best for flavor, blue - medium heat (550 degrees) or pink - high heat (650 degrees) are for faster concentrate vaporization. Once your temp is set, turn the unit on by rapidly clicking the power button five times, and keep it pressed while drawing. With the Dr Dabber Aurora, you're in full control of your experience. The variable voltage technology allows you to set the ideal temperature to get the best results from this vaporizer for concentrates. Easy to recharge via USB, the dab pen is generously sized to hold a large amount of material, but is still small enough to fit in your pocket for ease of use anywhere. Plus, the Aurora vaporizer pen looks identical to an electronic cigarette to protect your privacy when you vape. Pull mouthpiece to separate the regulator from the atomizer of your Aurora pen. Load your wax directly onto the heating chamber. Do not touch heating element with your dabbing tool. When loaded, reconnect airflow regulator to an atomizer. Make sure it is not overloaded - this may cause the Aurora to fail. Press the button rapidly 5 times to turn it on. Holding the button start vaping. Dr Dabber offers a 1 year warranty on the Aurora wax pen. The warranty covers the battery and charger, but anything glass is not covered under warranty, nor are any of the atomizers. If you have any issues with your product, please do not hesitate to contact us as we are happy to assist you in finding a solution. If you have a warranty issue, just email us. If the defective part cannot be fixed, we will replace it for you. Nowadays, there are many types of waxy concentrates available. Unfortunately, most vapor pens on the market are only able to efficiently vaporize one type of wax, and by default limiting your options. Dr Dabber engineers have finally changed that with a Dr Dabber Aurora vaporizer which is capable of vaporizing all different types of waxy concentrates, and at the same time providing a remarkable vaping experience with every use. The award-winning Aurora is a variable voltage, magnetic model designed with you in mind. Considered by many as one of the best vape pens for wax, it offers fully magnetic connections which provides for a great user experience. Three carefully programmed heat settings allow anyone to experiment and decide for themselves which setting is better. The Aurora is the next generation of vaporizer pens, combining innovative features with Dr. Dabber's award-winning 'low heat' technology seen across all of their models. The pen is composed of three parts: mouthpiece, battery and an atomizer. Undoubtedly the best feature is the magnets used in construction, making it easier to use. The Aurora wax pen is a good option for light users. This latest dab pen from Dr. Dabber, this unit allows you to vape your favorite concentrates with great ease. It is sleek and discreet, making it ideal for taking it with you anywhere on the go. It has a ceramic mouthpiece for crisp flavor straight from the coil, which can be made of either ceramic or quartz material for equally as pure flavor. Its variable voltage battery allows you to play with the temperatures to find the right setting for you. This makes the Dr. Dabber Aurora vaporizer perfect for anyone who values customization and portability. Massive clouds hits - Review by Ernesto G.
The Dr Dabber Aurora is excellent. I have tried them all, and I think that this Aurora vaporizer is one of the best values for the money. The only thing that I do not like is that it is lacking a battery indicator that lets me know when it is dying. I also wish that it had pass-through technology but that is a small price to pay. The magnetic pieces are really convenient and makes it easier to clean the Aurora vaporizer. The battery of the Dr Dabber Aurora also lasts for a really long time. I have yet to use a full charge in an entire day, so that should say something. The cartridges that this vape includes are excellent. All in all a great vape that produces massive clouds. Could not be happier - Review by Lucy J. The Dr Dabber Aurora is an awesome product. I recently purchased it and could not be happier. I love the magnetic attachments as it makes it simple to use and easier to clean. It also has yet to leak. The matte finish is kind of delicate so be careful that you do not scrape it accidentally. Strongly recommended - Review by Kimberly E.
I recommend this smooth drawing vape to beginners and advanced users alike. Best vape for wax - Review by John L.
This is hands down the best vape I have ever used. The Dr Dabber Aurora comes in really great packaging and it all looked very professional. I love the nice size of the pen where it is small enough to carry around with me and to pass as an ecig from far away. Discreet - Review by Sean P.
The Dr Dabber Aurora is very discreet and can be taken anywhere in the pocket. Simple and efficient - Review by Lawrence A. The Dr Dabber Aurora is simple and efficient and I use it every day for those reasons. I love everything about it from the high level of taste to the low level of smell, especially because I am primarily vaping it while out in public. I love the quartz coils because I really get to taste everything that I vape and I also get really good clouds because of it which is something that is hard for me to do on other vaporizers. I have been through a lot of pens before I finally landed on this Dr Dabber Aurora. No issues - Review by Mary R.
This vape pen works great and I have yet to have any issues with it. Never dies - Review by Jason A.
I can take it with me wherever I go and not have to worry about it dying on me. This vaporizer is great for me, since I primarily needed something that I can take with me when I leave the house. Or when I am traveling somewhere and it definitely does the trick. It is really straightforward when it comes to loading it and cleaning it so that's nice as well. Wow - Review by Gladys R.
The battery life on the Dr Dabber Aurora is insane. Great options - Review by Jodie K.
I love the different heat options and the way that I am able to taste everything the way that I think it is meant to be tasted without fear that it is going to burn at some point instead of vaporize. Worth the money - Review by Lynn H.
Auro comes at a great price and is worth every penny that I have spent on it. My favorite - Review by Toni W.
Aurora is quickly becoming one of my favorites, and I feel confident when I say that I know this Dr Dabber vape is going to be a part of my vape collection for a long while. Best vape pen for wax - Review by Tawana H.
This Dr Dabber Aurora unit is the best wax vape pen around for sure. Easy and natural vape - Review by Gary J.
I love the draw on it as it is really easy and natural feeling so that it becomes more comfortable for me to use than a lot of other pens. This vape pen does what it is supposed to as advertised. Low outdoor - Review by Arthur D.
I got this as a gift and I love it. I primarily take it to outdoor events like music festivals, and I love that I can use it to take a quick vape whenever I want without anyone being the wiser. Stealthy - Review by Peter R.
Aurora is stealthy and discreet, fits both in the hand and in the pocket well. Simple - Review by Julia D.
It is simple to use and has a few heat settings so I can pick how I want to vape. Fun - Review by Randy M.
The flavor is great and so is the battery life. Strong vape - Review by Shirley D.
I don't have to constantly keep Aurora charged and when I do need to charge it, it does not take any time at all. I like how it feels in my hand as well. Real quick - Review by Catherine T.
The Dr Dabber Aurora is just an overall great vaporizer for people who want something quick. Smooth to hit - Review by Wallace G.
The Dr Dabber Aurora is one of the many vape pens that I have tried and I have got to say that it is by far the best one out of them all. It is really sleek and slender which makes it easy for me to take it outside with me in public places. This is especially true because it has really low smell levels so I don't have to worry about anyone around me detecting the vaporizer. The taste of it, however, is great and it is really smooth to hit, never once irritating the back of my throat. No complaints - Review by Erika L.
I think the Dr Dabber Aurora is slowly making its way up to my favorite vaporizer on the market. I don't have any complaints. Ready to go - Review by Elizabeth R.
I always make sure that I have the Dr Dabber Auroras, charged up and ready to go, so I always have one waiting on me. Top gun - Review by Dale J.
I like having the extra batteries on hand and would definitely buy it again if I needed to. I have owned three different pens and this is the best one so far. It really blows all of the rest of them away and I am loyal to it. Excellent - Review by Flora L.
The Dr Dabber Aurora is the best vape pen I have ever tried. 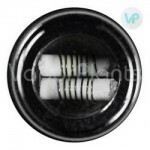 I love the coil and temperature options and the flavor is excellent because of those factors. The battery life is also exceptional and makes it easy for me to use it virtually all of the time. Price is great - Review by Micah C.
After using one of my friend's Dr Dabber Auroras, I knew I had to own one for myself. The price is great and even though I was nervous to spend the money due to a few bad ones that I have had myself, I was pleasantly surprised. It has definitely exceeded my expectations on vapes of this kind. Every atomizer along with the different temperature settings makes the flavor pop and the clouds really show unlike a lot of the other pens I have tried. Long sessions - Review by Crystal B.
I love how it has a really long battery life and does not let me down during my sessions. Nothing like it - Review by Nina M.
The only thing I do not like about the Dr Dabber Aurora is that it is a bit difficult to clean but that is a small price to pay for something that is as great as this vape pen. Loving Aurora - Review by Edwin C.
There are not enough words to describe my love with Aurora vape for wax. Worth every penny - Review by Rose D.
The Dr Dabber Aurora is definitely worth every penny. It is my first wax vape and I will never go back to smoking it again. I love the three different heat settings that it has to offer and the life of the battery seems to go on forever. Its my new go to method of consumption. Top high - Review by Irene B. The Dr Dabber Aurora is the best vaporizer that money can buy hands down. It has been working excellently since the very first time I took it out of the box. There is nothing but good things to say about this vaporizer. I love the way that it functions and I love the build of the Dr Dabber Aurora even more. The magnets on the pieces make it really easy to take apart and clean it and are really the most convenient features of the vape outside of the easy to access and use temperature settings. Glad I bought it - Review by Shari K.
I did a lot of research before buying the Dr Dabber Aurora, and am so glad that this is the one I decided to get. Solid wax vape - Review by Frankie J.
I only buy Dr Dabber products now, after I used the Dr Dabber Aurora for the first time. It really is a solid wax vape. Best wax pen - Review by Ruth R.
The Dr Dabber Aurora is really excellent and comfortable experience every single time I use it. I have recommended the Dr Dabber Aurora to all of my friends. The whole experience of buying was great and the experience using it even better. Best vape pen on the market easily. Winner - Review by Jeffery R.
I absolutely love the Dr Dabber Aurora and have been completely won over by Dr Dabber. Expectations reached - Review by Olivia R.
I was expecting something much less powerful than what I got. It has certainly exceeded my expectations. Works great - Review by Daniel B.
Aurora vaporizer works great and just like it was advertised. Everything about the pen is awesome. Overall a really great buy - Review by Martha R.
The Dr Dabber Aurora is everything I expect out of a wax vape and so much more. I love the Dr Dabber Aurora. It tastes wonderful and has a low smell so it is great for dabbing while I am out and about. The slender profile makes it look like an electronic ecigarette, too, which helps that even more. It is really durable and the simplest vape to put together. Long battery charge - Review by Travis M.
The battery life of the Dr Dabber Aurora is exceptional and I have never once had to deal with it dying on me unexpectedly. Nice chamber - Review by Stewart E.
I love the Dr Dabber Aurora and its long battery life. Charging it is really easy and takes no time whatsoever to do. The magnetic pieces really enhance the experience since they are so easy to use. The chamber is nice and deep and the atomizers give me amazing clouds. Favorite vape - Review by Joe J. The Dr Dabber Aurora is my new favorite vape, and I don't imagine I will be using any other one for a really long time. Exceeded my expectations - Review by Tamara C.
This vaporizer exceeded my expectations and is one of the best that I have ever used. High clouds - Review by Priscilla A. Great clouds, and even better flavor makes Aurora worth its price. Delicious - Review by Dab D.
I love the taste and the minimal aroma that I get with the Dr Dabber Aurora. Amazing bud taste - Review by Hae D.
The Aurora vape is a great vaporizer whose magnetic connection already makes me a die-hard fan. I like the ceramic for its taste but it did not produce the clouds that I want so instead I use the quartz more often than not. The matte finish kind of chips away after a while, but other than that I adore the Dr Dabber Aurora. Magnetic components - Review by Darrell L.
I purchased the Aurora vaporizer recently and I could not be happier with it. I love the magnetic components and how easy that makes cleaning and using the different aspects of the vape. It has a nice matte finish and feels silky in the hand. I love the smooth hits as well. Great dab pen - Review by Miguel B. The Dr. Dabber Aurora vaporizer is great, and I have tried many different vaporizers. The only thing I don’t really like about it is its weak battery life, but that is okay since it doesn't take much time to charge. This is by far the best vape pen I have ever used. The construction is durable and the vapor quality is pure. I love everything about it from top to bottom. Definitely worth the price. Why wouldn't anyone want a magical dab pen stick that would let you and your friends dab anywhere you go. Aura Vaporizer is so easy to use, I just take my waxxy oils, load, and vape. Worth the price as this is an excellent quality device!!! Awesome dab pen! I own a dr dabber ghost, so Aura is my 2nd dr dabber vape. Definitely a winner, completely magnetic, all the parts just slide together, no threads whats so ever. Temperature can be easily adjusted and comes with 3 different unique atomizers! This wax pen has it all, I and my vape buddies are very impressed with the vapor quality. Definitely recommend it to anyone who loves to vape wax! Lost my Dr Dabber Ghost vape pen, so I decided to get another dab pen by Doctor Dabber. So I got the newest one they made, the Aura. Dr Dabber Aura is definitely one of a kind, nothing has been made like this by any other brand. They included 3 different heating chambers for different wax consistencies and made this wax pen super easy to use. Powerful magnetic snap on technology is super cool. Don't be turned away by the price tag as you will definitely get everything you have paid for. Excellent, excellent, excellent little portable device!